Who will become Mother of the Sultan? Knowing so very little about Moorish Spain in the 1400's (before Queen Isabella), SULTANA Two Sisters divulged a brand new historical world to me- well worth reading about! I had no idea of the power concocted behind the scenes by women in those times- in a misogynist culture where they had no say. Well...Surprise, surprise! The story begins with two young friends- one Christian, the other, Jewish: Esperanza and Miriam, becoming captured to become slaves in the harem of Sultan Yusuf l of Moorish Granada. Their names are changed to Butayna and Maryam and they are both wed to Yusuf and consequently, bear his children. This is not a friendship story; The women become arch rivals in the quest to secure the throne for their first born sons. The book focuses on these two women in their deadly, vengeful quest. This is fascinating history that grips you from the beginning. Lisa Yarde spares nothing in terms of descriptive scenes that depict that past impeccably. From the lavish to the cruel and brutal, the novel is written in good taste while capturing the essence of what life was like in Moorish culture, in Spain. The realities were harsh and the scheming intense. It's clear from the get-go that Lisa Yarde has done extensive research on this historical period. Nothing is amiss and the history is brought forth through enticing, to the point story telling that makes the novel unquestionably reliable in terms of accuracy. Throughout the book, I was compelled to stop and reserach for myself some of the most interesting aspects that stirred my curiosity. I already loved Spain's history, but learning about the Moorish culture, made that part of the world even more rich in complexity and awe. 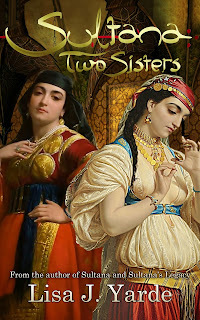 SULTANA Two Sisters is the third of six books in the SULTANA Series. I have not read the first two (but will now! 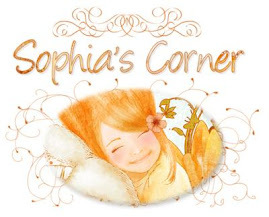 )- and can say that it reads very well as a standalone- (but it's for sure you will want to get the previous two books). If you love learning about cultures in history-especially when this involves strong women and the power they secretly emanated, then Read this- you won't be disappointed. A quick, passionate and captivating historical novel, SULTANA Two Sisters is a MUST Read. Leave your comment and email address. This look like a fascinating read indeed. Great review!